Water Saving Devices such as low flow showeheads, aerators, toilet tank banks and more make saving water simple. They can all be easily installed in a matter of minutes. Using water saving devices leads to spending less money on water and water heating. The U.S. Environmental Protection Agency’s WaterSense program, works to protect the future of our nation’s water supply by offering people simple ways to use less water. By promoting the value of water efficiency, providing consumers with easy ways to save water, and encouraging innovation in manufacturing, WaterSense has helped consumers save a total of 1.5 trillion gallons of water and more than $32.6 billion in water and energy bills! By the end of 2015, reductions of 212 billion kilowatt-hours of electricity and 78 million metric tons of carbon dioxide were achieved through the use of WaterSense labeled products. Using WaterSense labeled faucets or faucet accessories could reduce a household’s faucet water use by more than 500 gallons annually—that’s enough water to do 14 loads of laundry. Even if only 1 in every 10 homes in the United States installed WaterSense labeled faucets or faucet accessories in their bathrooms, it could save 6 billion gallons of water, and more than $50 million in the energy costs to supply, heat, and treat that water. One of our best sellers is the Neoperl Perlator Regular Dual Thread 1.5 GPM Aerator. Whether your looking to change to a water saving flow or just replace a existing faucet housing, you will enjoy the benefits of NEOPERL’s patented anti-liming construction. Using a 1.5 gallons per minute aerator will save you up to 30% water (in comparison to a 2.2 gpm). Energy savings can also add up by heating less water. WaterSense labeled toilets use 20 percent less water per flush but perform as well as or better than today’s standard toilets. We recommend the Niagara Stealth Dual Flush Elongated Toilet Bowl. The Stealth technology has truly changed the market in that it features a low-profile body, ultra quiet flush, and patented hydraulic technology. The low friction, smooth ceramic surface of the toilet bowl allows for clearing with every flush. By providing two flush options, they reduce water consumption and costs like no other models out there! Check this link for available rebates. 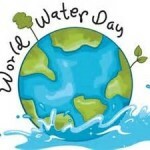 Water is crucial for the survival of the earth and all its’ inhabitants, but there is a limited in supply. The Earth might seem like it has abundant water, but in fact less than 1 percent is available for human use. We all need to do our part to limit our household water usage, and upgrading to WaterSense devices in your home is a great place to start. Saving thousands of gallons of water per year (along with savings on your water bill). Conserving the energy used to heat the water which means more savings for you and for the environment. Allowing you to live responsibly without sacrificing your lifestyle. Aerating vs. Non Aerating Shower head. Non-aerating means air is not mixed into the water stream, as it passes through the shower head; as a result, less temperature is lost between the shower head and you. The 1.5 gpm Niagara Low Flow Showerhead (N2917CH) does not aerate the water, so you won’t have to crank up the hot water for a comfortable shower temperature. Moreover, it installs without tools and is adjustable to deliver soft relaxing sprays to deep, therapeutic 9-jet massages. Aerating shower heads by contrast mix air into the water stream. So you can get a fuller shower with a steady pressure however it won’t be as warm since some of the heat is lost in the process of aerating the water. Appearance. Shower heads have a come a long way.. you don’t have to stick to the standard white or chrome finish. There are a few brushed nickel low flow shower heads as well. Technology. Shower heads have evolved to pack in state of the art technology for conserving water. For instance, the 1.5 gpm Evolve RoadRunner Low Flow Showerhead combines a low-flow head with Evolve’s patented ShowerStart, trickle-trigger technology for the ultimate in shower conservation. This unique showerhead senses when the cold water running through it changes to hot, and reduces flow to a trickle. It saves the hot water you would have left running while waiting for the water to warm up until you’re actually ready to use it. The Roadrunner also features Pressure Compensating Technology for use in low water pressure homes, and a 36-nozzle non-aerating spray for full-coverage comfort and warmth. Installing a low flow shower head is one of the simplest and most effective things you can do to help the environment and start saving money immediately. Deciding on the best low flow showerhead will depend upon your budget, aesthetics and any advanced technology options you require. The good news is, there are plenty of options. In honor of Groundwater Awareness Week (March 6-12), and World Water Day (March 22), we are highlighting some of our top-selling water conservation products. 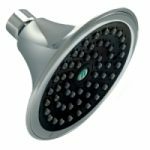 The Niagara 1.25 gpm Earth Massage Chrome Showerhead is a non-aerating, low flow showerhead which offers 9-jet turbo massaging sprays. 1.25 gpm low flow means you will save up to 5,475 gallons of water per year! That’s approximately $107 in electric and $68 in gas water heating! The toilet is the largest consumer of water in the bathroom. Installing the water saving Toilet Tank Bank is a quick and cost-effective way to save water at this source. This displacement bag saves about 0.8 gallons of water per flush when installed. If every household in the United States installed low flow faucet aerators, we could save over 60 billion gallons of water annually. They are cost-efficient, simple to install tools that can pay for themselves in a matter of days with the savings on water bills. The Niagara 1.0 GPM Dual Thread Bubble Bathroom Aerator uses only 1 gallon of water per minute, yet still produces a satisfying stream of water. The Niagara 1.5 gpm Brassdual Thread Coupling Swivel Kitchen Aerator allows you to aim the water wherever you want it in your sink and uses only 1.5 gallons of water per minute. The Soil Moisture Meter is an outdoor water efficiency tool that allows you to monitor the levels of water in the soil. Over watering is the most common cause of plant death. Using this tool prevents over watering of plants to promote healthy gardens and lawns. The soil moisture meter helps to eliminate water waste. Plant moisture meters are tools that gardeners and homeowners use to accurately gauge the percentage of moisture in a given soil sample. 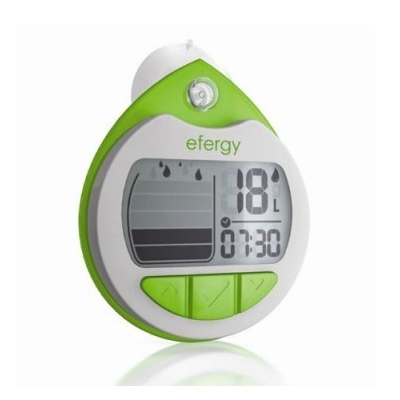 Battery-free moisture meters are very convenient, as they use a simple needle gauge for moisture reading reports, are low in cost, are friendly for traveling and visitations, and can serve as a back-up solution for when battery-run meters fail or die. Plant moisture meters are suitable for outdoor applications as they are constructed with sturdy, high quality materials, such as metal and hard plastics for outside favorability. By using plant moisture meters, homeowners can make more accurate decisions about when their lawns and/or gardens need to be watered. Instead of wasting time over saturating soil, plant moisture meters make it possible for anyone to become more consciously aware of how much water is necessary in order to conserve water. 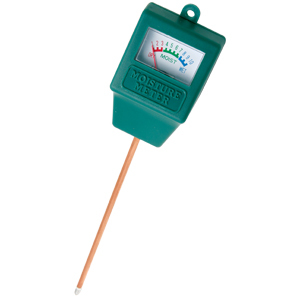 Using plant moisture meters is a simple and easy way to help you save water outdoors. Begin conserving water by utilizing these handy tools in your home today. Saving water at home can be easy and affordable at the same time. In reality, making conscious decisions about how much water you are using on a daily basis both inside and outside of your home is all it takes. Let’s take lawn watering, which is a common activity for outdoor home maintenance, for example. One of the best ways to conserve water outside of your home is by using a water hose timer when sprinkling your lawn. Automatic On/Off – Automatic sprinkler controls are convenient for you and the environment, preventing you from forgetting to turn your hose off and causing the sprinkler to run all day long. No Batteries Required – Without batteries, a water hose timer is much easier to manage and take care of. 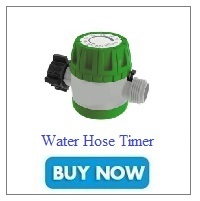 The timer will run on its own without any outside help, making it a smooth and easy addition to your yard hose. Ergonomic swivel for easy hose attachment – By effortlessly attaching to your hose, these water timers are user-friendly and quick to install and use. Using a water hose timer is one of many ways you can begin to conserve water in your home. Take the first step by adding this convenient tool to your yard. Before we go into what measure you can take for Fix a Leak week, let’s go into the history of this event. The WaterSense division of the EPA started Fix a Leak week sevenÂ years ago to remind Americans to identify and repair leaks in their household plumbing fixtures and irrigation systems.Â WaterSense and its partners, including cities, companies, and non profits engage in week long educational activities and events around the country. This year it is taking place from March 16, 2015 through March 22, 2015. 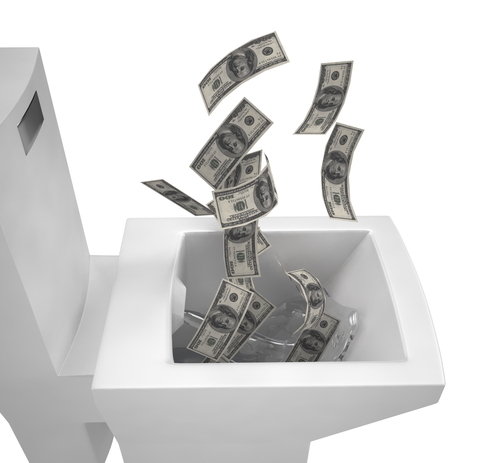 It is estimated that the average American home loses approximately 10,000 gallons each year due to leaks coming from dripping faucets, running toilets and other leaking valves. This amounts to 1 trillion gallons of water annually around the US. The good news is that it’s an easy problem to fix. 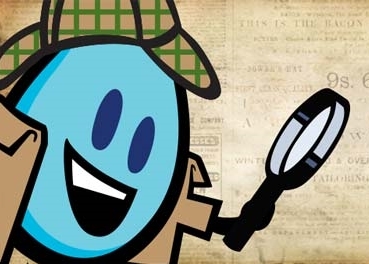 The first step to take is to determine if you have a leak.Â Please see the WaterSense Fix Leak events page to find an event near you. How to determine if you have a leak? Check your water bill. If you see an anomaly in the pattern of your gallon usage, e.g. spikes, chances are you have leaks. Observe your water meter, say for a 1 to 2 hour period. If you have not been using any water and the meter changes, you probably have a leak. 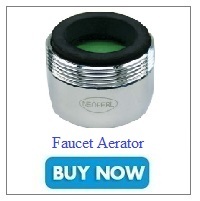 Go through house and listen for drips in the toilets and faucets. There is an easy way to tell for sure with your toilet. Simply drop a toilet leak detection dye tablet in your toilet tank. These leak tablets have a harmless food coloring giving them a blue or green color. If there is a leak, the color will show in the toilet bowl without flushing. If you have older plumbing fixtures e.g. showerheads, faucets, toilets, consider replacing them with WaterSense-labeled plumbing fixtures. In most cases, the investment can pay for itself in a matter of months. For example, investing in a 1.5 gallons per minute (gpm) low flow showerhead can cost less than $10, and can help you save thousands of gallons if you have a showerhead that dispenses water at 2.5 gpm or more. When installing a new showerhead, wrap the shower arm with teflon tape. This tape is specially produced to reduce the likelihood of experiencing shower leaks. By taking these steps, not only will you be saving water, but also energy as it takes a lot of energy to heat the water. A leak of one drip per second can cost $1 per month. So fixing the leaks can result in significant water and energy savings as well as lowering your utility bills. So spend a few minutes this year identifying and fixing those leaks. You turn the knob of the shower and the water falls in a steady cascade. You’re enveloped in the falling beads of water, not too strong and not too weak. The thought of sacrificing such a luxurious shower experience for water efficiency is the furthest thing from your mind. But going green doesn’t mean we have to disregard our comfort. With pressure compensating showerheads and aerators we can achieve energy efficiency without sacrifice. The water pressure is measured in Pounds per Square Inch (PSI) and can vary significantly in each home. The higher the PSI the higher the water pressure. It can be as low as 20 PSI whilst in others it can be as high at 80 PSI. In a low pressure home, the shower stream can feel very weak. 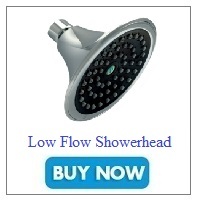 This is further amplified when you have a lower flow showerhead. Fortunately this can be corrected with a pressure compensating showerhead, which essentially regulates showerheads and faucets. When pressure fluctuates, pressure compensation works to maintain efficiency and consistency so that the flow is kept constant when the pressure is between 40-80 PSI. This creates an optimal shower experience, giving you both peace of mind knowing you’re doing your part in saving water while still relishing in your shower experience. Pressure compensating showerheads and aerators work through the use of a small rubber ring. The rubber ring expands depending on the pressure applied, in turn blocking the holes and reducing the amount of water coming through the tap. When pressure drops, the rubber ring is more relaxed, meaning more water is able to come through the holes in the tap. While the initial cost may be a bit more, you can expect to see a return of investment in typically less than two months.